Are you looking for truck financing? You probably want to avoid getting ripped off, right? Show up all over complaint websites like pissedconsumer.com or the Ripoff Report. Of course, it might just be their competitors posting complaints on those websites - there really is no verification process, so it's really hard to tell who's going to be honest and who isn't. Not long ago, there was a report of a company that paid a $7,300 for a lease deposit on $120,000 worth of trailers from an equipment financing company (one that has an A+ BBB rating). If the Loan is not approved in whole or in part, the money paid to [company] will be returned in its entirety. (Note - This is a real complaint that is publicly available, but I am not disclosing company name(s) involved because we want to focus on how you can avoid being ripped off if you are financing a truck, not on how we can smear a company). The business owner then tried to get his deposit back for 3 months before making complaints. Shameless plug: We can help you finance a truck... and we won't scam you. Click here to get started. Instead of going over what the contract said and babbling lawyerese, let's just call a duck a duck. If you try to finance your truck with a company and don't get your deposit back after they can't perform something fishy is going on. Unfortunately, there's a lot of monkey business that happens when you look into financing for a truck, and it can be really hard to tell who to trust. 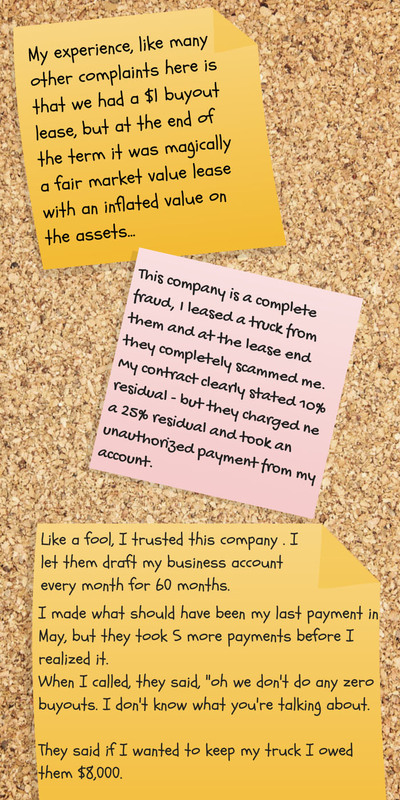 Why do (Some) Truck Financing Companies Lie to You? Do you have any idea how much money it costs to get you to either fill out a form on the internet or pick up the phone and call a company to inquire about a loan? I had no idea either until I ran an advertising company. For ten years I ran a company that sold junk mailers and internet leads (the two most common ways you get contacted by a financing company) to businesses that did loans. I'm going to give you an inside look into how that business works - because it will show you why some companies try pull the tricks that people complain about the most. If you want to send out some letters to truckers telling them about financing, it will cost you about $6,000 to send out 10,000 of them. Now if you just send out a normal letter, without any BS in it, maybe 35 people will call. That means it costs $171 per phone call. Now, if the salespeople you have sitting on the phone are really good (and, usually they aren't that good) maybe they'll do a loan for 1 in every 10 people who calls. That means it costs $1,710 in advertising to get someone to do a loan. Of course, then you'd have to pay your salesperson. On average, a salesperson at an equipment financing company makes $1,000 per loan. So, it will cost $2,710 just to get you to do a loan and pay a sales person. The average person who calls is looking at a $40,000 truck, and the average amount of money a company makes on a $40,000 truck is around $3,200 - once you add in the costs of a sales manager and an office, and all those other things, the financing company just lost money by doing a loan for you. Now, remember, that 35 calls was if the company just sent out a normal letter. If the company could get more people to call from the letter, they can start to make the numbers work. How could they get more people to call? 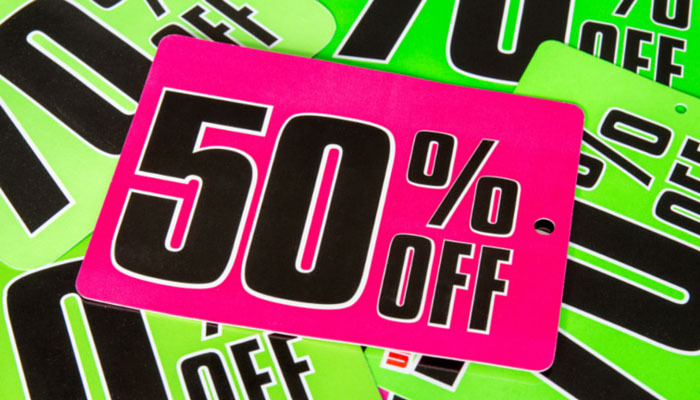 Have you ever gone a department store and just happened to be lucky enough to be there on the day of the 50% off sale? Of course, if you showed up to the same mall every day, you'd start to realize they have a 50% off sale every single day, and that sign is just there to make you think you are going to get a bargain. 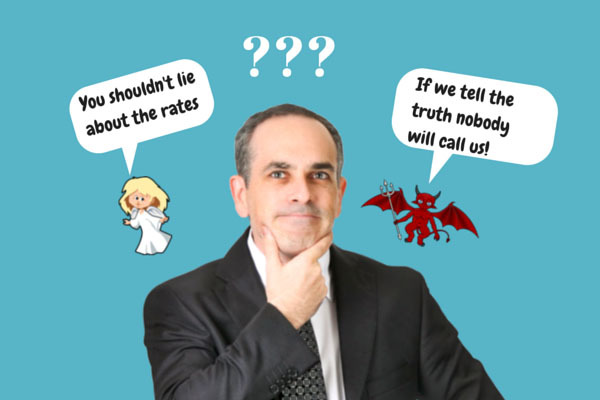 If you're sending out letters, you can always make more people call you by lowering your price .... so if you make up some lie on your letter like INTEREST RATES FROM 4% more people will call you. So, let's say instead of writing fake numbers on a letter, you try to get people to call you by advertising on Google instead - how would that work out? If you bid on the word "truck financing" and try to show up on the front page of Google, it is going to cost you approximately $7.50 every time somebody clicks on your ad - and about 1 in 23 people who click on your ad will actually either call you or fill out a form. That gets you to the almost same cost number as before to make somebody call you - $173. Again, the only way you can make the numbers work is to say something that's not really true to make more people fill out your form, like "interest rates from 4%." What are Truck Financing Rates? Truck financing rates vary considerably based on the truck you're buying, your credit, whether you're new in business or not, your cash reserves, and a few other things. What I can tell you right now is that the rates to finance a truck, whether you're financing a cement truck, a semi, or any other piece of equipment, are rarely, ever, anywhere near 4%. I received a call not too long ago from someone, let's call him "Randy" who was working as a long haul truck driver and wanted to buy his own used rig and become an owner operator. He had good credit, and a reasonable down payment, so he was extremely likely to qualify for truck financing. (1) Randy is a startup. No matter how you slice the numbers, half of startups don't make it. 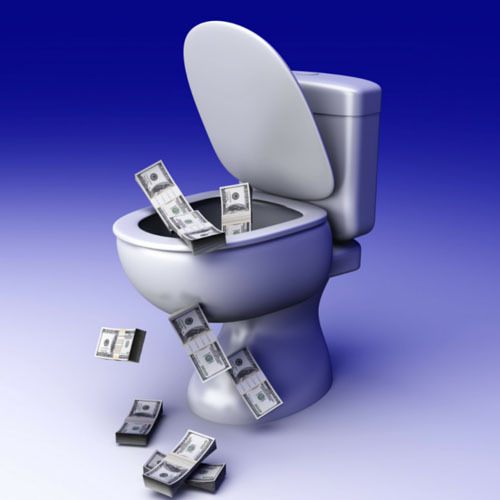 Lenders have to factor that in when they decide what rates to charge. (2) As an owner-operator, with one used truck, that's a lot riskier than financing a fleet, because when the truck breaks down, Randy has zero income (and big bills). Randy asked me what the rates were likely to be and I told him it was likely they'd be in the very low teens - which for a startup owner operator is pretty much what the rates are going to be (they'd be higher if Randy had bad credit or not much money in the bank). Randy's response: "This conversation is over, I'm not going to pay rates like that." Following this Randy hung up. What do you think will happen to Randy? ...which means the only thing we'll have to guess is how long it will take for Randy to figure out that he got punked. If he finds out early, it might be because someone tells him the rate is 7% or something like that, and he'll go through the process, send in a deposit, and then when it's time to finish up papers the company will explain that they missed something and it turns out their rate will really be double. Then the company will play games to try to keep Randy from getting his deposit back. At the end, you'll think you owe $5k to keep the truck, but you'll be asked for $20k. This kind of bait-and-switch garbage happens often. Always try to get offers from a company that won't scam you. Here are some excerpts from complaints about this kind of crap. There are hundreds of these types of complaints about truck and other type of equipment financing companies on the internet, and you can bet our buddy Randy will be wishing he had researched the company he ultimately ends up dealing with after he finds out what has happened to him. So, How Can You Get a Fair Shake When You Finance a Truck? For all the scary stuff we've gone other with you, you might think that all equipment financing companies are a bunch of frauds - but the truth is, most of the people and companies in the industry are pretty honest. The problem is that it's harder to find the honest companies since it is hard for legit companies to compete against the tactics and profits that are made by ripping you off. Luckily, most of the time, companies that do BS leave a trail of their stink - you just have to know how to look for it. 1. Search for them on the internet. If you look up a company's name, plus the word "complaints" the bad players are pretty easy to find. If there are one or two complaints over a period of five years, read the complaints carefully, because even the best of companies run into an idiot once in a while, so you may give them the benefit of the doubt. If you see a clear pattern of complaints, that should put you on high alert that maybe you're better off choosing someone else to work on your financing with. 2. Sniff around for BS numbers. BS numbers take two forms, whether on a mailer or a company website. If the company mentions only single digit rates, that's something to watch out for. Single digit rates are only for "A" credit borrowers - perfect credit, many years in business, and lots of money in the bank - which means only a tiny, tiny sliver of the number of businesses looking for financing. The other way companies that finance trucks lay a stink bomb is BS calculators that only show you payments that nobody qualifies for. If their calculator doesn't ask you what your credit score is, or if you're a startup, the calculator is probably a stinker. There are some companies that make more of their money by keeping application fees than by actually financing trucks. Here's how the scam works: The company tells you that based on the large amount of work it takes to ask you to fax in a few papers, you'll need to send them anywhere from a few hundred to a few thousand dollars. Since they now have your money, how motivated are they to make sure you get financing when they can just turn you down and keep your "fee"? Do you want to know a better way to go about getting financing for your vehicle? Instead of thinking about financing in terms of "what's the rate?" a better way to look at the financing is asking what the truck will do for you, at what price. The rate doesn't mean anything. Just before the end of the year, I spoke with another person, a dump truck owner who we'll call "Steve", with poor credit who wanted to acquire a second dump truck for $70,000. If we did a 3-year lease with 10% balloon at the end, Steve's payments would be somewhere around $2,900 per month. After the payments on the truck, Steve makes an extra $9,100 per month, putting an extra $109,200 per year into his pocket. 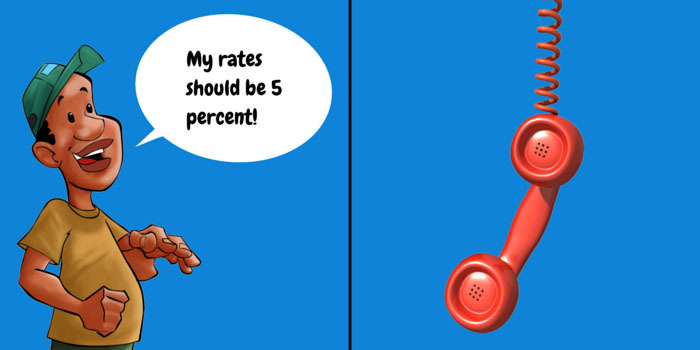 Notice, I didn't mention one word about what the rate is, because it doesn't matter. What matters is the extra $109,000 Steve can make next year with a second truck. If you're looking into truck financing we can help. Simply click on the image below or give us a call at (866) 631-9996.